This year is flying by with Easter Half Term around the corner!! Then ? Look no further as we’ve been busy hatching ? plans for our next Egg-citing event. We're promising Chocolate Eggs ? for all children delivered by our very own Magical Easter Bunny ?, whilst you bounce, hop and skip around a sports hall cram packed with Inflatables and entertaining fun! 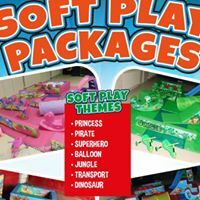 If your thinking of hiring party items from us, its a perfect way to try before you hire! Each session is 1 hour, 30 minutes of non stop fun! All children must be accompanied by an adult during each of the sessions. A selection of Snacks, Hot & Cold Refreshments & Confessionary will be available to purchase. ?☕? There will also be a Luck carrot game, with a prize for the winners ? Join us at our Brand New Easter Special - Inflatable Eggstravaganza!! We will also be running a Baby and Toddler Session between 09:00am - 10:00am on the same day, please use the below link to book as all tickets are available on the same link. 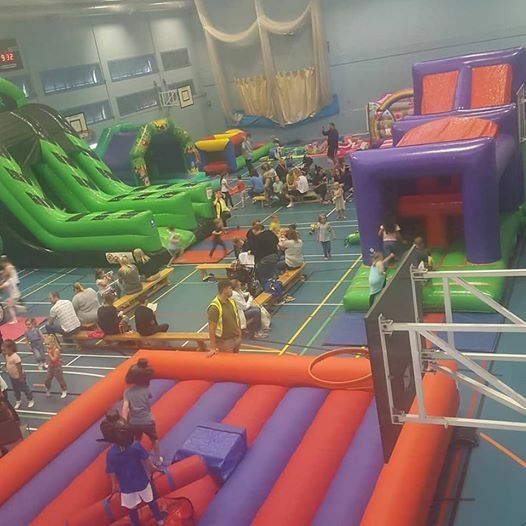 Our last Inflatable Fun event sold out extermely quickly, so if your interested in coming along to our Inflatable Eggstravaganza event please purchase your tickets ASAP, to avoid any disappointment.